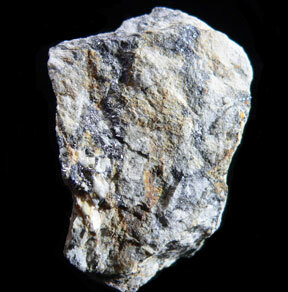 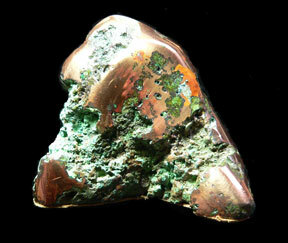 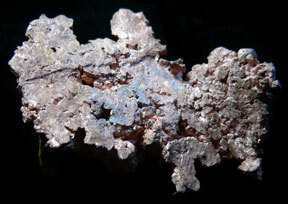 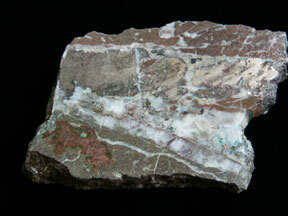 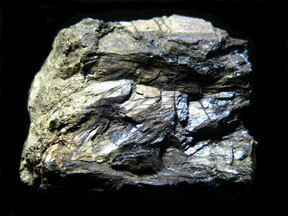 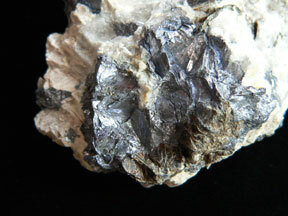 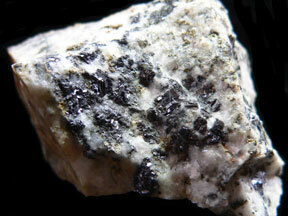 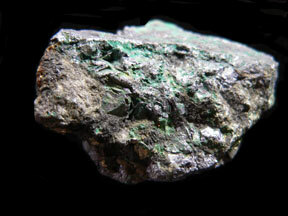 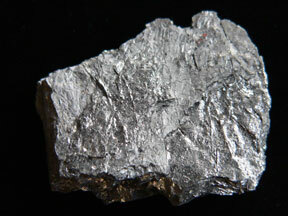 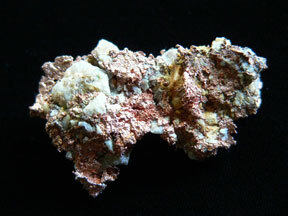 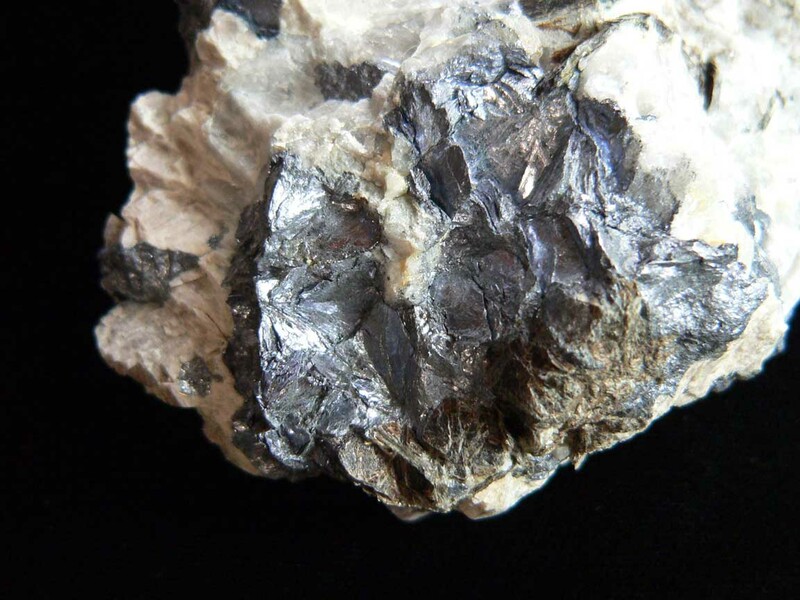 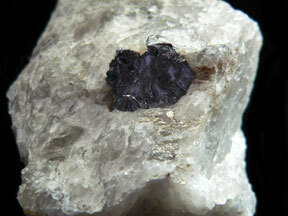 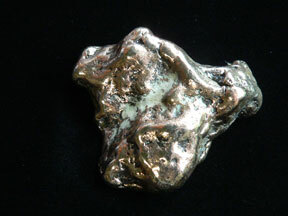 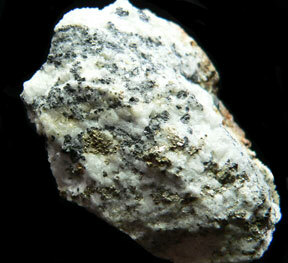 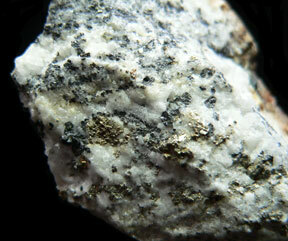 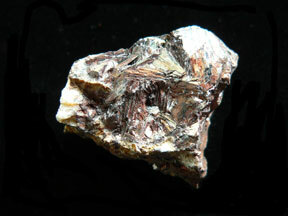 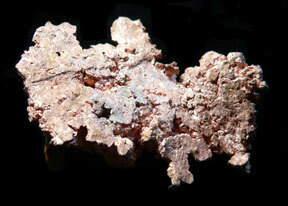 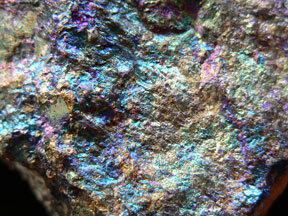 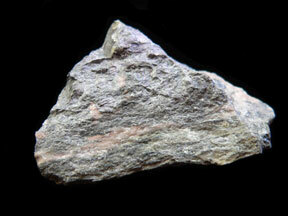 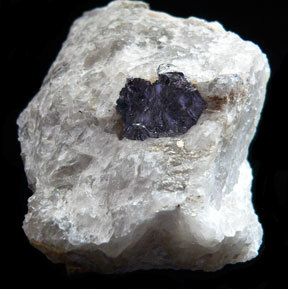 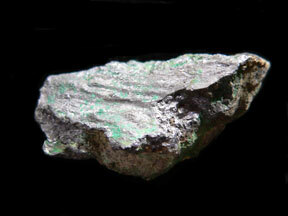 To order a mineral give the mineral name and the number of the specimen(s) you wish to purchase. 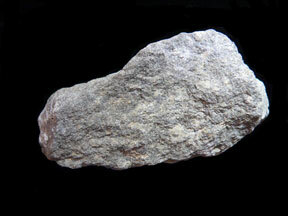 You will receive that exact specimen. These pieces were found originally in the pictured position. 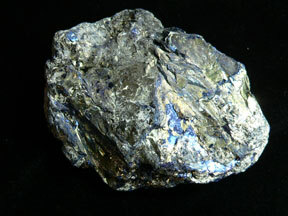 A closer side view of the specimen above showing various exposed Covellite in the specimen. 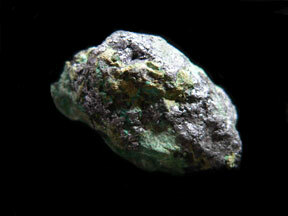 During the last 3 days the original mine was open, miners were encouraged to collect as many specimens as they wanted. 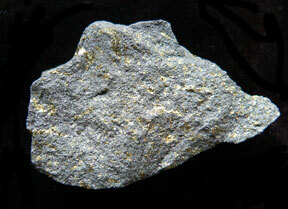 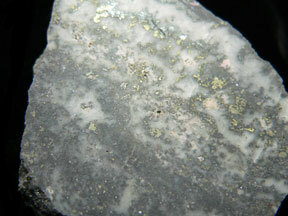 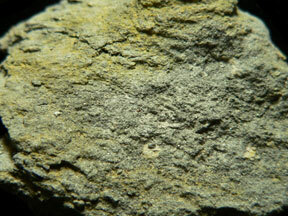 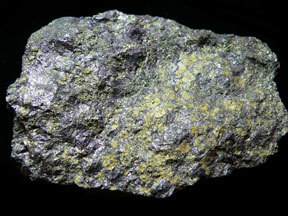 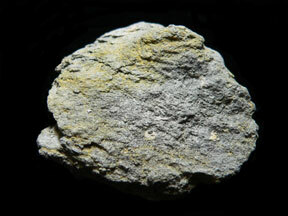 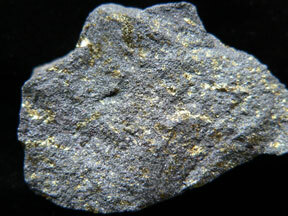 All the flecks in the specimen are native gold. 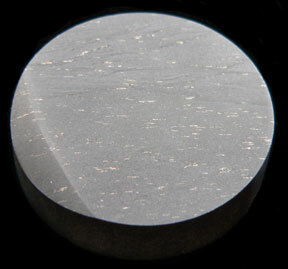 The slight bevel on one edge is due to the chipping on one edge when the core is cut by a diamond saw blade. 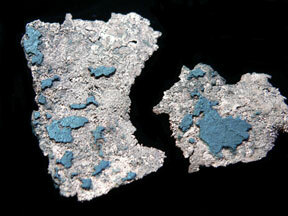 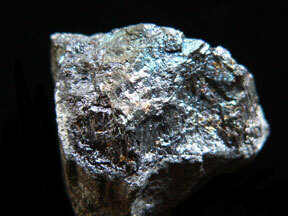 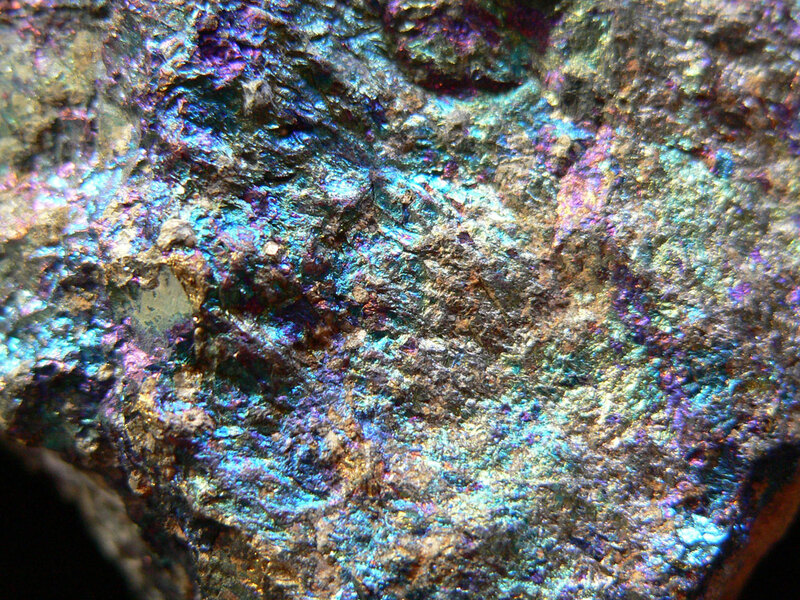 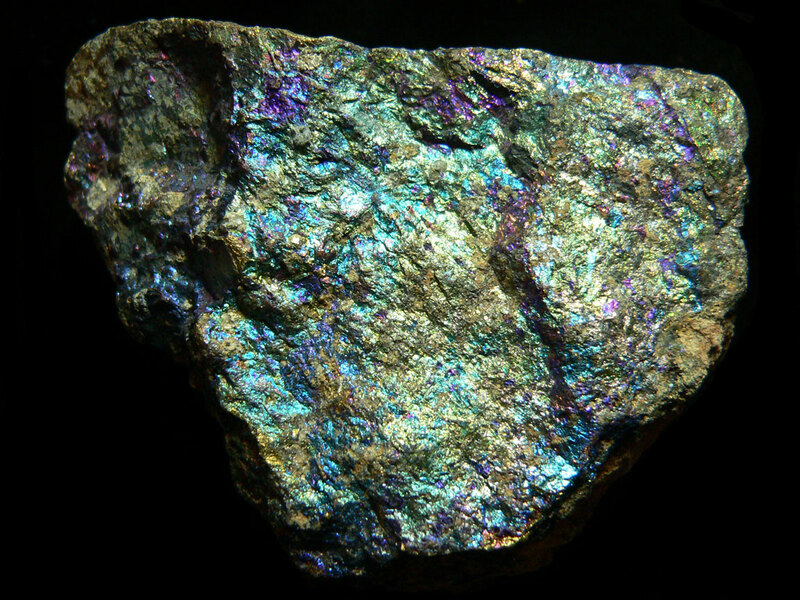 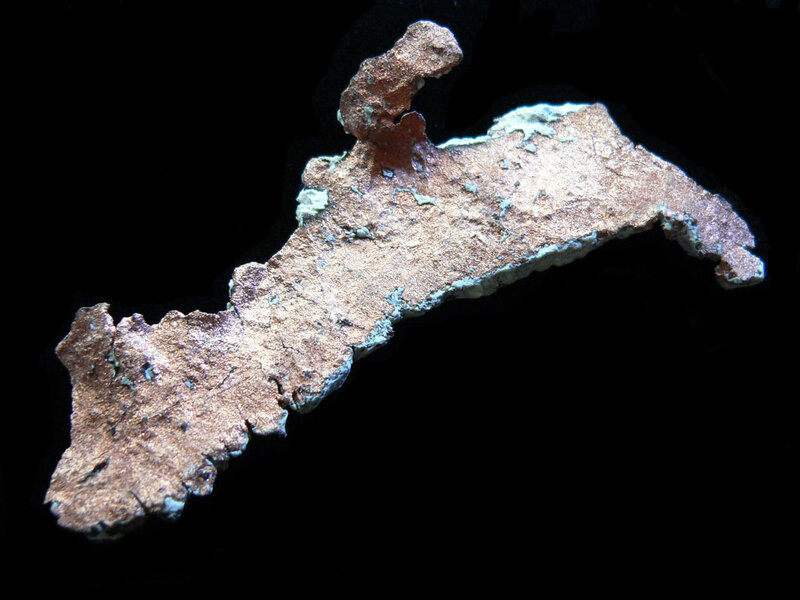 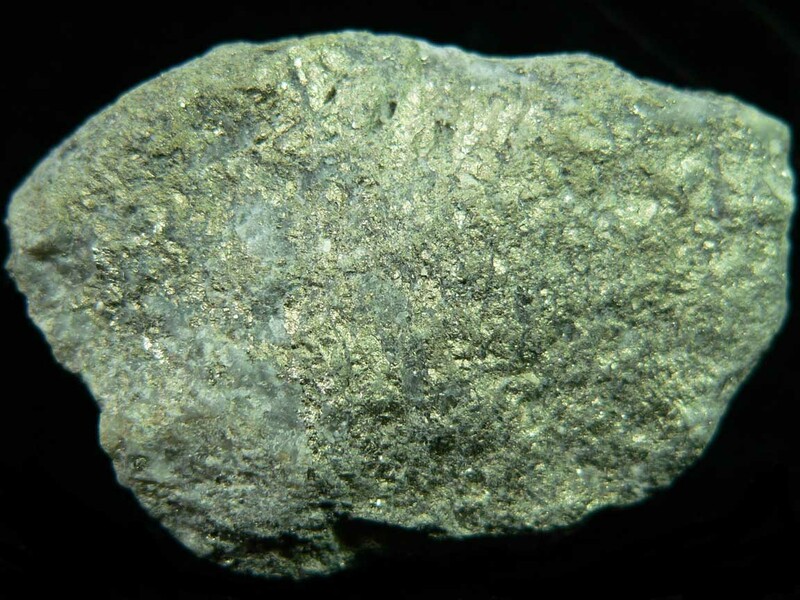 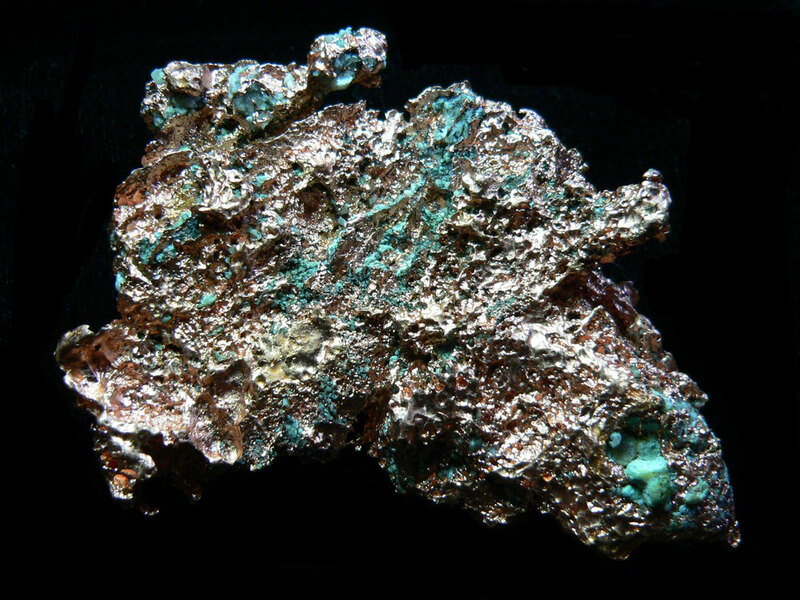 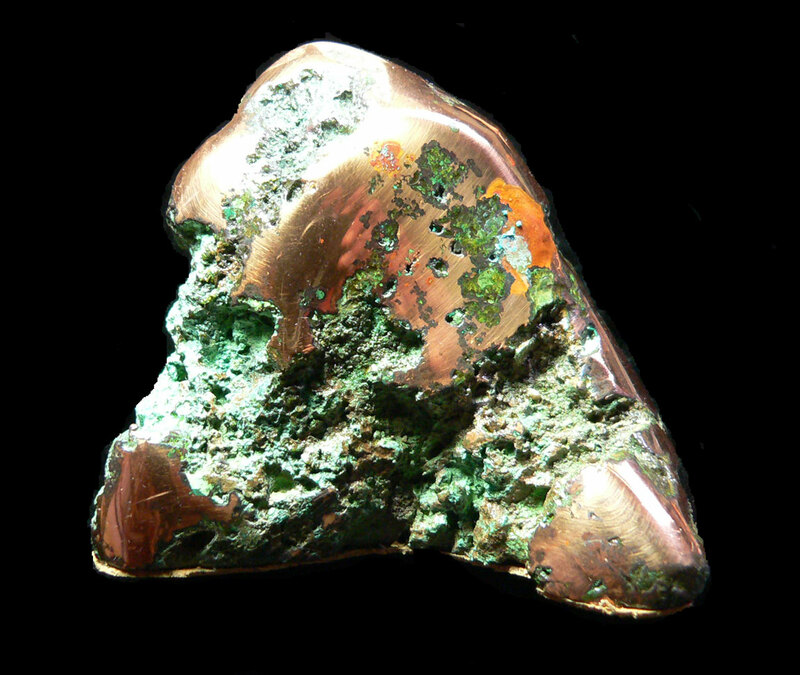 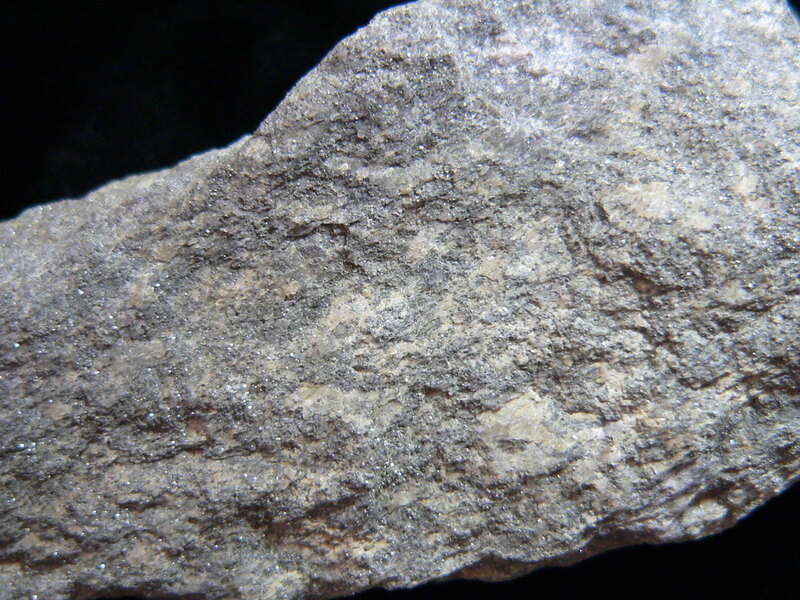 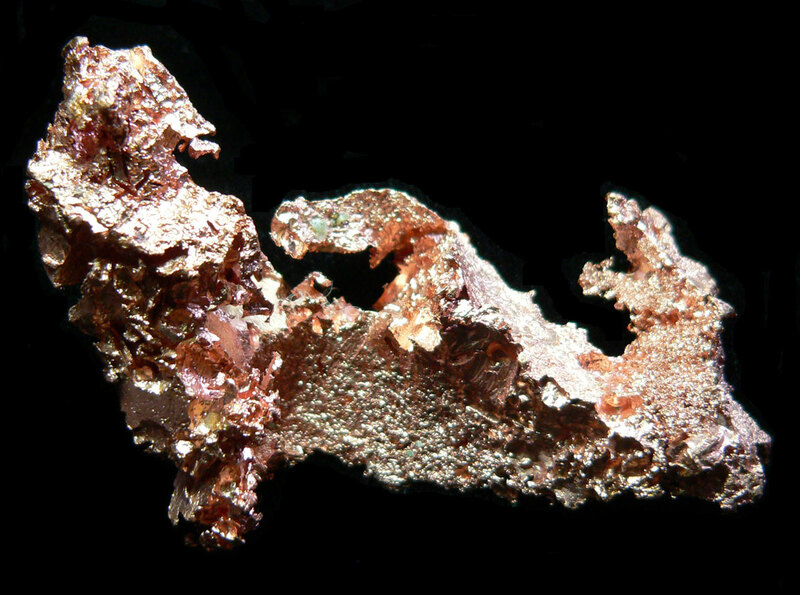 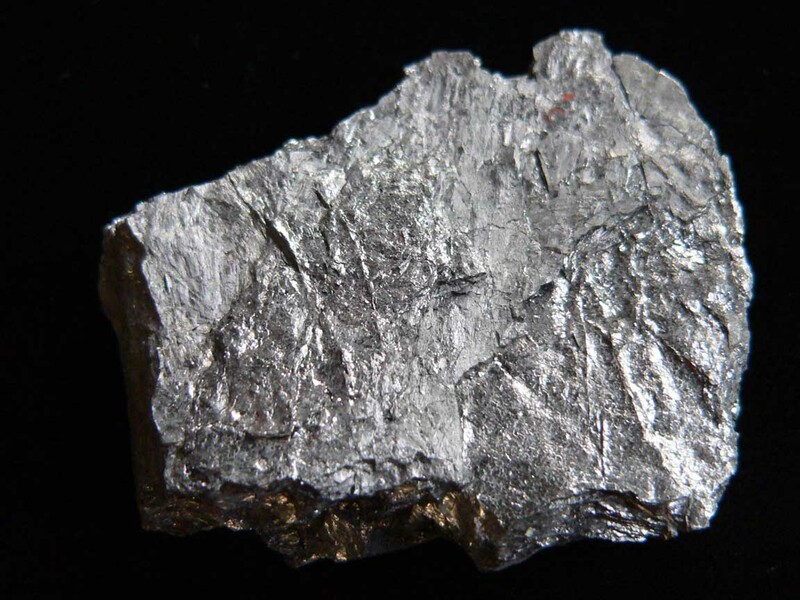 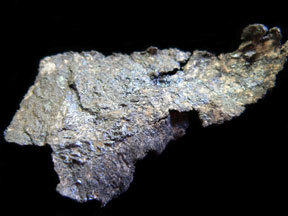 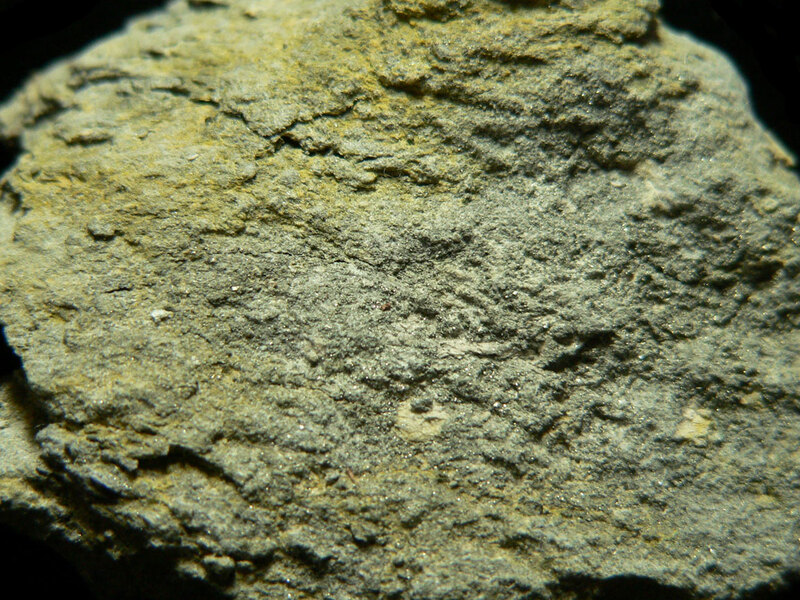 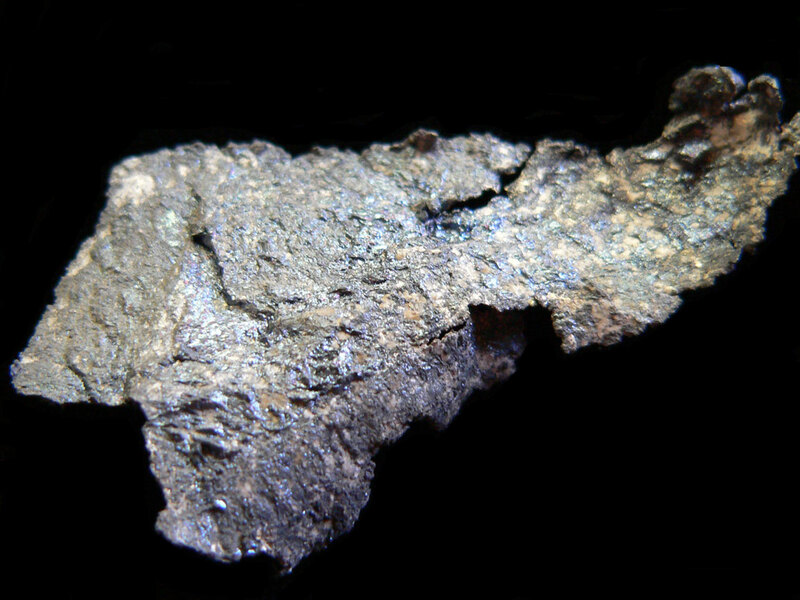 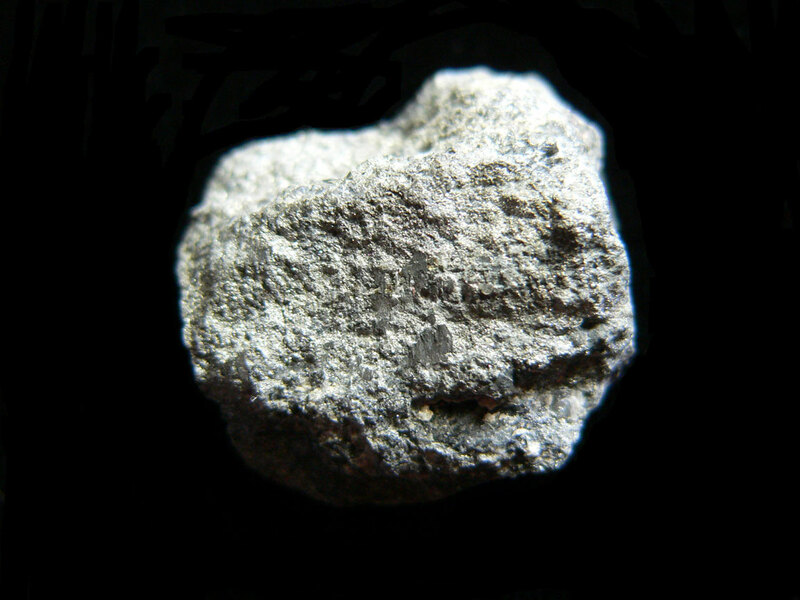 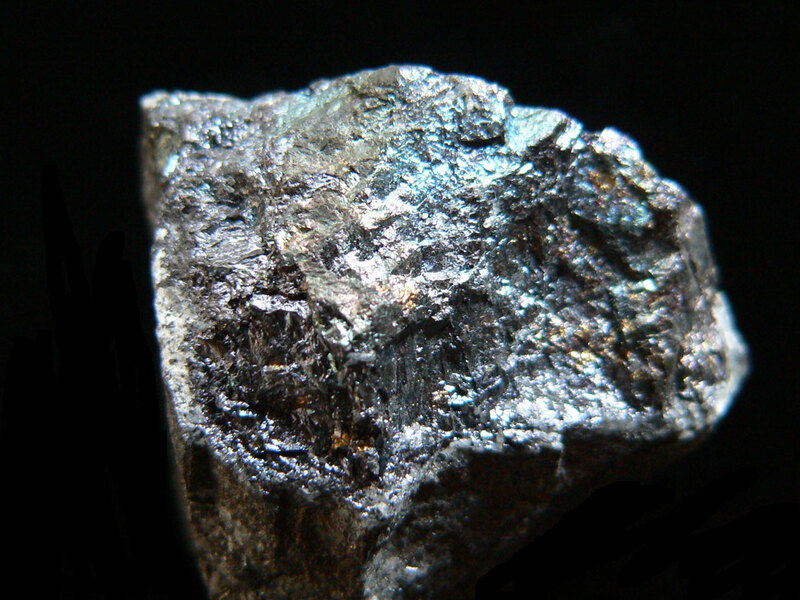 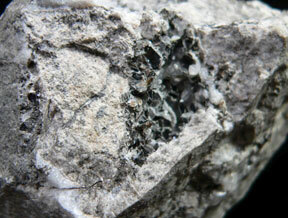 A closer view of the specimen above showing the ore clearly exposed on the surface of the specimen. 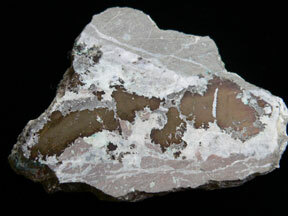 The white quartz background makes the specimen quite attractive. 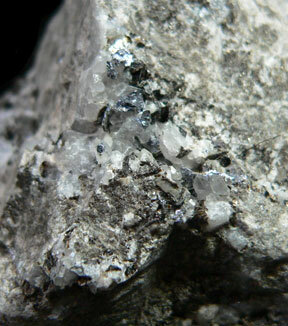 A close-up view of the specimen above showing the both the ore and some Rhodonite in the specimen which is common in ore samples from this location. 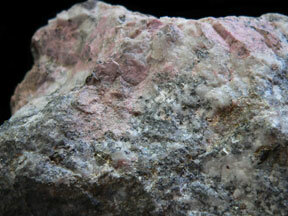 A nice specimen with massive Rhodonite. 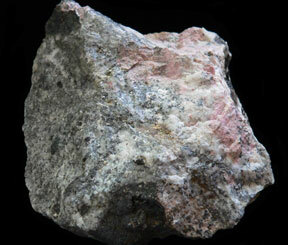 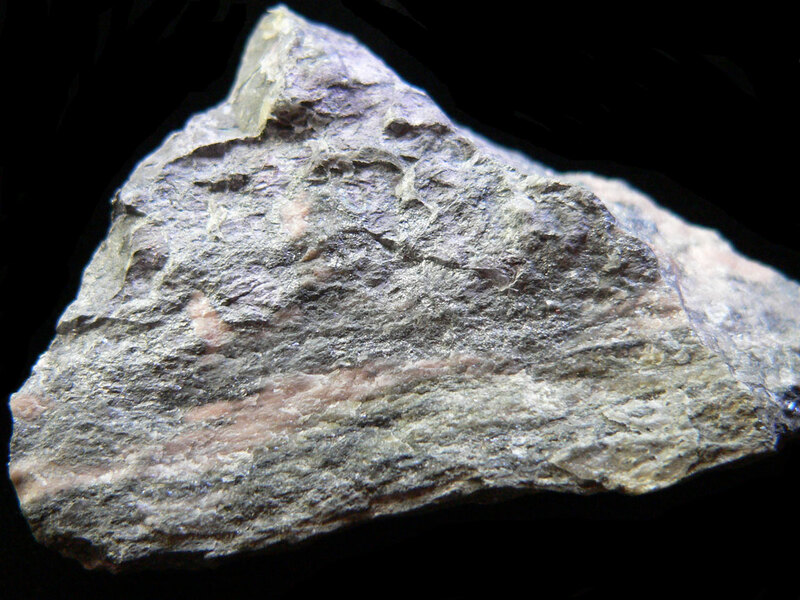 Rhodonite was common in Silverton and Ouray area ore.
A close-up view of the specimen above showing the Rhodonite and exposed ore. 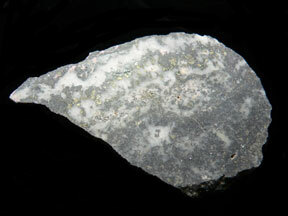 This specimen has a cut flat base for good display.